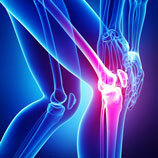 Millions of Americans suffer from joint pain due to osteoarthritis or injury everyday. Joint pain likely affects everything you do, from work to play, and ultimately your quality of life. Aspire is excited to offer this cutting-edge, non-surgical solution to patients. We strive to simplify the complicated world of Regenerative Medicine and make it more affordable and accessible than ever to interested patients. Stem cell injections offer the ability to heal damaged tissue naturally. Stem cells may repair the body by dividing to replenish cells that are damaged by disease, injury or normal wear and tear. The array of benefits related to stem cells is supported through the successful transplantation and coordination of multiple components. The stem cells used to treat patients at Aspire come from health, voluntarily donated human umbilical cord tissue (allogeneic mesenchymal). Umbilical cord blood contains a beneficial blend of cytokines, growth factors and stem cells that ensure a rich micro-environment to foster tissue regeneration and cellular growth. Your body has the natural ability to heal itself with stem cells and other derivatives. As you get older, the amount of stem cells you have in your body are greatly reduced and are not as efficient. Which is why harvesting cells from your own body may not always be the most beneficial method to use. Stem cells have emerged as a key element of regenerative medicine therapies. They also have immune-modulation properties which are very helpful in controlling pain and inflammation in the body. Regenerative medicine therapies include natural healing properties which reduce pain and inflammation, increase blood flow and promote soft tissue growth. These out-patient therapies are minimally invasive and require no down time. They are a safe and effective non-steroidal therapy with no adverse reactions. Stem Cell Therapy is an option for those looking for an alternative to surgery or potentially, total joint replacement. Regenerative medicine and stem cell therapy allows your body to naturally heal . It stimulates healthy cell growth and regenerates healthy tissue. Stem cell therapies have a multitude of growth factor producing cells. Growth factors are proteins naturally found in the body that promote the growth of cells and tissues. Stem cell therapies also use anti-inflammatory factors that reduce swelling and inflammation. Regenerative medicine therapy can stimulate your body’s own stem cells to proliferate and then target damaged cells in your body and repair or replace them. If you’d like to avoid surgery and down time and if you suffer with joint pain from osteoarthritis or injury, then you could be an excellent candidate for one of our regenerative medicine therapies at Aspire Rehab. WILL STEM CELL THERAPY HELP MY JOINT PAIN? With a third of the US suffering from chronic pain and over a million each year undergoing joint replacements in the US, stem cell therapy may eliminate your pain and increase your mobility. Some patients experience an enormous reduction in pain and inflammation within weeks of one injection. Previous treatments may have included steroid injections, opioid (narcotic) pain medication, non-steroidal anti-inflammatory medications and even joint replacement. Stem cell therapy can repair fibrous connective tissue and stimulate the formation of cartilage, tendon, ligaments and bone. Stem cells not only promote long term pain relief but a significant restoration of normal functions. 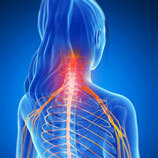 Stem Cell therapy may be an excellent treatment option for your chronic pain. The adult stem cells used in treatments at Aspire come from voluntarily donated umbilical cord tissue (allogeneic mesenchymal). Cord Blood Stem Cell Therapy is both safe and effective. These injections/therapies have been used more than 100,000 times in the United States with no reported adverse side effects. Every Umbilical cord donor is tested under infectious disease panels that surpass governmental standards. All cord blood stem cell donors go through a rigorous screening process, as determined by the Food and Drug Administration (FDA ) and American Association of Tissue Banks (AATB). Furthermore, cord blood stem cells are fully documented and screen tested thoroughly, according to FDA’s registry requirement . This ensures the optimum quality and potency of stem cells for a premium application. Regenerative medicine therapies at Aspire are non-surgical procedures that take a minimal amount of time, have faster recovery rates and are completely natural. Regenerative medicine therapies use stem cells and their derivatives to help heal, regenerate tissue and decrease inflammation in order to improve your quality of life and daily functions. You may be a good candidate for stem cell therapy if you have been suffering from joint pain and want to improve your quality of life while avoiding complications related to invasive surgical procedures. Regenerative medicine is now the easiest, non-invasive method to improve your quality of life. Patients suffering with joint pain may be considered as candidates for stem cell therapy. If you have already tried conventional treatments including Physical Therapy, steroids, narcotics and anti-inflammatory medications, then cutting-edge Regenerative medicine/Stem Cell therapy is a safe and effective option. 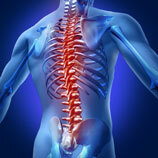 Call to schedule a free consultation to determine if Stem Cell Therapy at Aspire Rehab Center is right for you . We know that when you’re in pain you need help now! We strive to get patients in for consultation within 48 hours if not sooner.